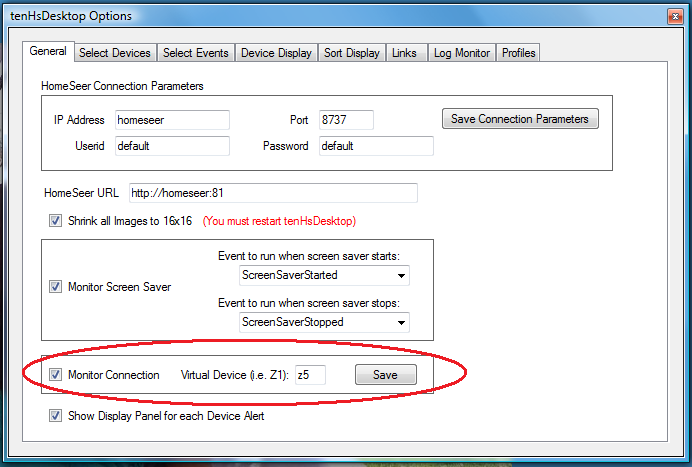 tenHsDesktop must create a connection to HomeSeer in order to function properly. It must be connected in order to send Device commands and trigger Events. It must also maintain a connection so that HomeSeer can notify tenHsDesktop whenever a Device's Status, Value, or DeviceString changes or whenever HS creates a new Log Record. Correct the IP Address, Userid, and Password and click Save and Exit. You must then restart tenHsDesktop. 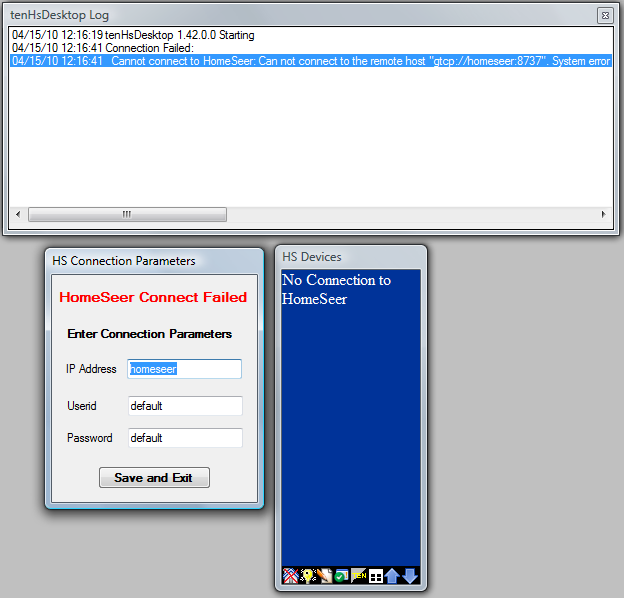 When a command cannot be sent to HomeSeer, the tenHsDesktop Log panel is opened to show the errors, the Devices panel shows that there is no connection, and the program icons reflect the failed connection. As the Log indicates, tenHsDesktop will continually try to reconnect to HomeSeer and will usually succeed once HomeSeer and the network are operational.